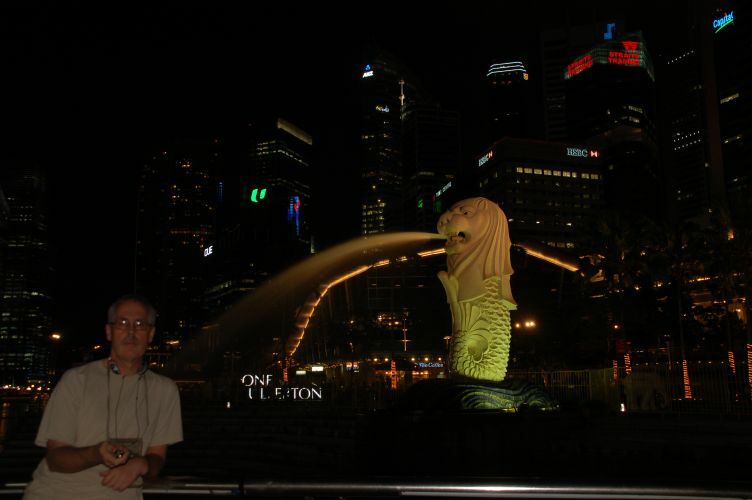 I had the good fortune to spend a period working in Singapore at the end of 2011 and the start of 2012. It was not my first visit, as I had originally visited as a tourist in March 1983, and this was my first time back. As I was working in Singapore for a number of months I have been able to visit parts of Singapore away from the Tourist Trial. These pages form an impression of Singapore and how it has changed over the years. Note the spelling of Singapura is the Malay spelling, as that is what I first saw as I arrived at Singapura Station in March 1983. The image I most remember of Singapore in 1983 is the Merlion flood lit at night, it still is, but how the view around has changed:. Looking back at my slides from 1983, the biggest difference is the number of skyscrapers. There were a few in 1983 but only a few, unlike now. When I went out in 1983 I did not suffer from the above problem as I stayed in cheap back packer accommodation and did not stay in or visit air conditioned places. Staying in an air conditioned hotel, travelling around on air conditioned trains and going to other air conditioned places, ones camera can get cold relative to the atmospheric temperature. 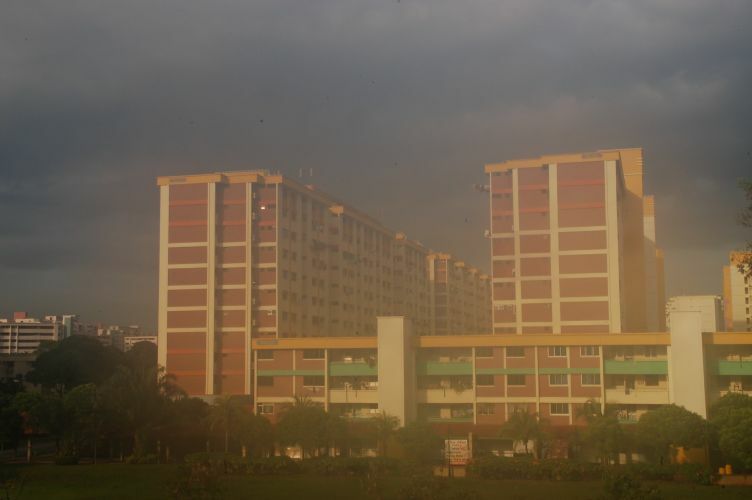 If you do not let your camera warm up before taking a photo you have an instant soft focus haze effect as above:-) The above was taken immediately after getting off the train at Yishun on the way to work as I wanted some photos of the real Singapore.